Today's gag is a riff on the biggest cliche in cartooning: the deserted island. Anyone who has so much as glanced at the comic section in any newspaper has been exposed to it dozens of times. The reason it is so popular is because it's so versatile. You can pretty much use it for anything. 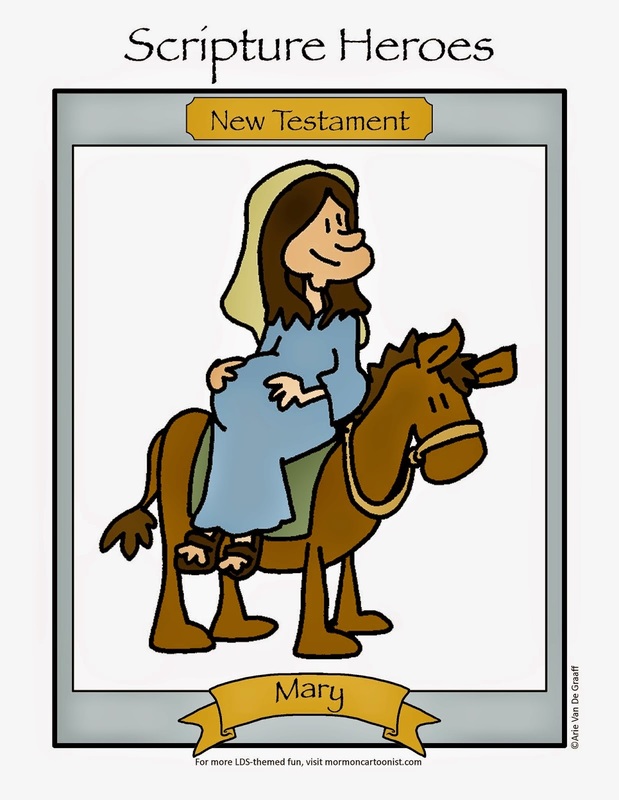 Shoot, within the LDS cartooning world alone I've seen it a half-dozen times. 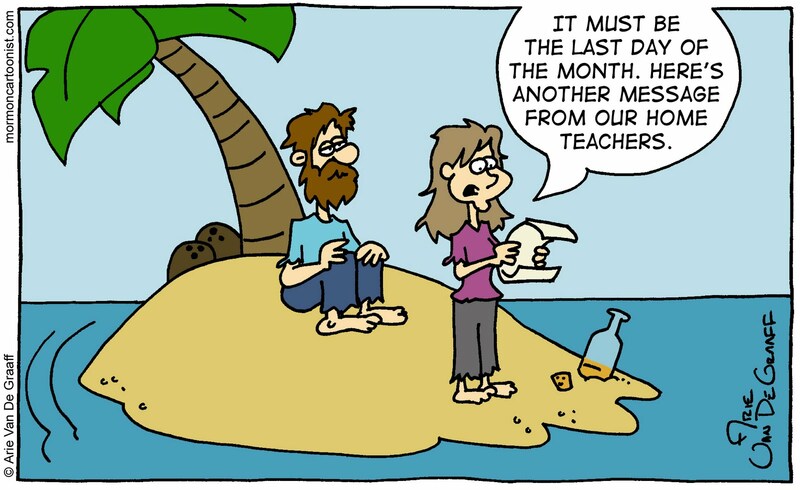 So, here's my challenge to you, dear reader: come up with another LDS-specific caption for this strip. "Welcome to the Bowling Ball of the Month Club. By now you will have already received two of our introductory balls . . ."
Sorry, not LDS themed. I'll try to come up with something better. We love your latest book. Please get started on sequel: "Revelations: After the Apocalypse." Reply soon. Ava came up with the basic idea, I polished. Looks like we didn't go far enough away, the Bishop is calling us to be Nursery Leaders. The Stake President is calling you to be the new EQ Pres. It's the Church magazines -- we need to renew our New Era subscription so we can keep reading Arie's cartoons! It's from our crazy neighbor Noah. It says "neener neener neener." Let's try this again. Stay away from the coconuts." It's from BYU: "All students lost at sea are still obligated to follow the dress code. Find some socks and lose the facial hair." "It says we got approved to be a part of Handcart troop #49. I told you we should have waited one more week to get into the Pioneer Trek but no, you wanted to try a Find the Promised Land Trek." "Oh, look Earl, we got a reminder from our Bishop to review our family's preparedness and food storage levels." Clearly, I've got to raise my game. Everyone of your captions exceeded my own. The Bishop is worried about our church attendance. LDStrong posted this to their FB page. Thanks four you awesome talent! Dear Crusoe family, how have you been? We haven't seen you at Church recently and your home teachers haven't seen you around. We want you to have all the blessings the Gospel affords. So hang in there and we hope to see you in the chapel soon! P.S. You each have a talk this Sunday. We hope you're able to make it! How considerate! We've been given callings. But still no phone. Wait, it says we've been called to the Nursery. I think this calls for gratitude.